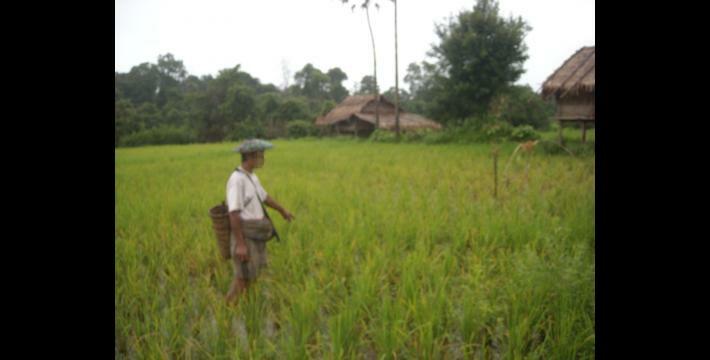 This Situation Update describes events occurring in Dwe Lo Township, Hpapun District between August and October 2013, including environmental damage due to gold mining projects, villagers’ efforts to prohibit mining projects, restrictions on freedom of movement and updates on Tatmadaw activities and civilians’ livelihoods. Villagers noted that since the ceasefire Tatmadaw demands for forced labour have decreased. Now, if requests for labour do occur, soldiers sometimes ask permission from the village elder and pay money as compensation. Villagers in Meh Way village tract united in opposition to a proposed gold mining project, resulting in the prohibition of gold mining in the Meh Way River. 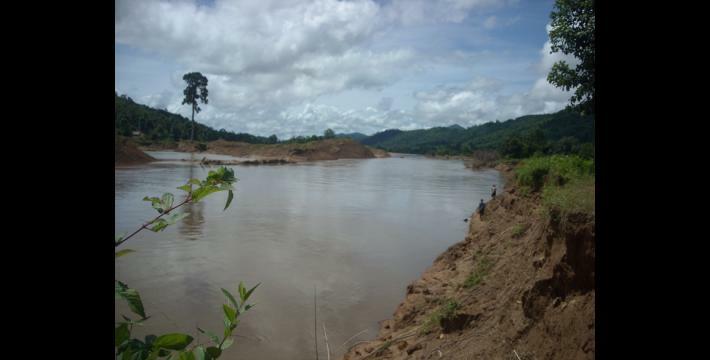 Tatmadaw Light Infantry Division (LID) #44 Operations Commander Tin Min Hla conducted a gold mining operation in Meh Hpray Hkee village tract, Bilin Township, Thaton District causing flooding that damaged farms and plantations in Waw Muh village tract, Dwe Lo Township, Hpapun District. In the wake of the October 13th 2013 bombing in Yangon, Border Guard Forces (BGF) and Tatmadaw soldiers have arbitrarily stopped and questioned travellers, restricting their freedom of movement. This Situation Update was initially published in May 2014 in the Appendix of KHRG’s in-depth report, Truce or Transition? Trends in human rights abuse and local response in Southeast Myanmar since the 2012 ceasefire. The following Situation Update was received by KHRG in November 2013. It was written by a community member in Hpapun District who has been trained by KHRG to monitor local human rights conditions. It is presented below translated exactly as originally written, save for minor edits for clarity and security. This report was received along with other information from Hpapun District, including two interviews and 77 photographs. In Dwe Lo Township, the SPDC [Tatmadaw] has previously been active [in the area], demanding forced labour, such as portering, or demanding wood and bamboo from civilians. Since 2013, SPDC soldiers have stopped demanding forced labour and materials from civilians. [Now], sometimes, if they do ask civilians [to go with them to help] with their activities, the SPDC asks permission from the village elder and pays wages to the labourers. If I look at us as still being active in [collecting] human rights information, it is very worthwhile for the civilians, as now there are civilians that face [problems] from mining that cause environmental damage and riverbank erosion, which violates civilians’ [land and livelihood] rights. Those [abuses] are still going on. On September 20th 2013, in Meh Way village tract, villagers heard that a company would come and begin gold mining in the Meh Way Kloh [river]. The civilians who live in Meh Way village tract organized themselves [to campaign against the project] and the village tract leaders completely prohibited [the project], stating that they could not allow gold mining in the Meh Way Kloh. They prohibited [it] and posted notices about it along the road and river. Now, the civilians [in Meh Say village tract] have prohibited gold mining in the coming years because they want the generations of their children and nephews to be able to sustain their livelihoods [without environmental damage]. Someday, if our Karen leaders allow companies to do gold mining, our future generations will face a lot of problems. [Last year] on October 11th 2012, LID [Light Infantry Division] #44 Operations Commander Tin Min Hla conducted a gold mining operation on the eastern side of the Boo Law Kloh [river] in Brigade One [Thaton District], Bilin Township, Meh Hpray Hkee village tract. [He ordered] soil and stones to be moved to the western side of Boo Law Kloh [in order to facilitate mining]. 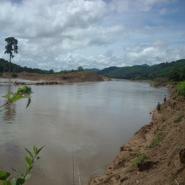 Sand, soil and stones accumulated blocking the river and diverted the water into Waw Muh village tract, Dwe Lo Township, Mu Traw [Hpapun] District. [Consequently], many of the Wa Lay and Waw Muh villagers’ farms and plantations were destroyed [by the flooding]. On September 10th 2013, I interviewed Saw A--- who lives in Wa Lay village, Waw Muh village tract, Dwe Lo Township in Mu Traw [Hpapun] District. He is 54 years old. I recorded the interview and the Thara [teacher, Saw A---] knows all the information [regarding the above incident]. On October 13th 2013, there was an explosion in Yangon and starting from that day the movement of civilians who live in Waw Muh, Kwee Ta Ma, Ma Lay Ler and Hpoh Kheh Hta villages, Dwe Lo Township, Mu Traw [Hpapun] District, has been more difficult. As they have always done, villagers go to Bilin Town [to buy food and goods]. [Now if] SPDC soldiers from LID #44, IB [Infantry Battalion] #3 and BGF [Border Guard Force] soldiers based at Hsan Taw [village], see civilians traveling, they question them and check [their luggage], which inhibits civilians from travelling freely. In Dwe Lo Township, SPDC military bases are the same as before, as I have previously reported. However, SPDC soldiers’ activities, such as demands [for goods and materials] and forced labour have decreased. [Now], sometimes when they [SPDC] travel [through the township], they ask the village head for one villager to serve as a guide; they also ask permission from the village elder. After helping them with guiding, they release the villager and also pay wages [as compensation]. Currently, SPDC soldiers’ demands and forced labour have decreased. After the ceasefire, for civilians who live in Dwe Lo Township, there have been more opportunities to work.Nowadays, there are farms, plantations and hill farming and the civilians work well and their livelihoods have become much better. Now, in B--- [village], Meh Way region, in Dwe Lo Township, villagers who do farming there are facing problems with insects consuming and destroying their paddy. [Currently] most paddies are dead [unproductive], so that they are worrying about whether their paddy can be harvested or not. I have provided an update on the activity of SPDC soldiers, [villagers’] livelihoods, the prohibition of mining, land destruction caused by riverbank erosion and [restrictions on] travelling. I have seen this with my own eyes and these things have really happened. I collected the information and took the photos myself and they are the truth and let me conclude this report here. In Karen, the Burmese phrases Na Ah Pa (SPDC) and Na Wa Ta (SLORC) are commonly used to refer to the Burma/Myanmar government or to Burma/Myanmar’s state army, the Tatmadaw. Many older Karen villagers who were accustomed to using the phrase Na Wa Ta (SLORC) before 1997 continue to use that phrase, even though the SLORC has not officially existed since 1997. Similarly, despite the official dissolution of the SPDC in March 2011, many Karen villagers continue to use the phrase Na Ah Pa (SPDC) to refer to the Burma/Myanmar government or to the Tatmadaw; see: "Mission Accomplished as SPDC ‘dissolved’," Myanmar Times, April 4-10th 2011. At the time of this report’s publication, the KHRG interview mentioned above had not yet been published. During October 2013 there was a string of bombings in Yangon and other parts of Burma/Myanmar. On October 13th 2013, homemade devices exploded in two separate Yangon Townships. See “Vigilance urged after a spate of bombs planted in Burma,” The Irrawaddy, October 2013. The following day, on October 14th 2013, a bomb detonated in Traders Hotel, a popular tourist hotel in Yangon, injuring one American. See “Bomb blast hits Traders Hotel in Rangoon,” The Irrawaddy, October 15, 2013. Border Guard Force (BGF) battalions of the Tatmadaw were established in 2010, and they are composed mostly of soldiers from former non-state armed groups, such as older constellations of the DKBA, which have formalised ceasefire agreements with the Burma/Myanmar government and agreed to transform into battalions within the Tatmadaw. BGF battalions are assigned four digit battalion numbers, whereas regular Tatmadaw infantry or light infantry battalions are identified by two or three-digit battalion numbers. For more information, see “DKBA officially becomes Border Guard Force” Democratic Voice of Burma, August 2010, and, “Exploitation and recruitment under the DKBA in Pa’an District,” KHRG, June 2009. 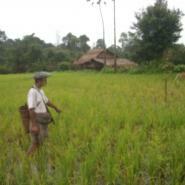 See “Papun Situation Update: Dwe Lo Township, March 2012 to March 2013,” KHRG, July 2013.